Man, Xbox Live has to have one of the worst online communities I've ever seen. Now, if you know me as well as you think you do, you should know that I'm pretty heavy into online gaming. Online games consume a great deal of my gaming time, since single player games seem to fly by all too quickly these days. Thus, you'll frequently find me online on Xbox Live playing Halo 3 or Forza 2 or Call of Duty 4 (my most recent fave) so; many of you may be wondering what prompted me to say such a thing. Well, it all began earlier this very evening. As many Xbox 360 owners already know, some nasty performance problems befell Xbox Live over the holidays, attributed to a massive surge in new memberships. People complained. To compensate for these issues, Microsoft announced that they would be making the Xbox Live Arcade title Undertow (really great game, download it if you haven't already) a free download. Well, I've had the game for quite a while and was disappointed that its online community was sorely lacking, to the point where finding a match was like trying to find a sliver of glass in the middle of a blizzard. Next to impossible. Well, I loaded the game up today and I'm happy to say, the online community has exploded for this game, which I'm very happy to see. Having a choice of which (populated!) server to enter made was a sight I never thought I'd see...but I digress. I hopped into a team deathmatch server and immediately got to fraggin. Now, because of some rather...unsavory folks I've run into on Xbox Live in the past, I tend to play with my microphone muted or just off entirely. I heard the muffled voices of numerous players coming though my speakers. The sound wasn't quite loud enough to hear what they were saying with any kind of clarity but it didn't matter because I paid it no mind, focusing my attention on the game itself. Suddenly, I heard the all too familiar -blip- as my Xbox 360 told me someone, (for the purpose of discussion, we'll just call him "Billy") had just sent me a voice message. I raised an eyebrow. Hmm...sounds familiar. I called up the player list and here I saw Billy. The same bloke I'd just received a message from mere nanoseconds ago. Well, I found myself dead at the hands of some enemy soldier and, being able to pick where and when to respawn, curiosity got the better of me and I decided to go check the message. I fired up my wireless headset and clicked "play voice message" from the Xbox 360's Guide menu. The message began to play and instantly, Billy proceeded to berate me, saying all manner of hateful things like "get a life" and many other nasty things I won’t bother to print here. Within a matter of seconds, my curious, inquisitive expression darkened significantly and by the end of the message, a frown was quite apparent. In that instant, I was ready to tear good old Billy a new one. But something happened. Just as I was ready to record an even more spiteful and malicious message to hurl back across the internet with a vengeance, I stopped. Instead, I merely sent him a text message saying: "Wow, you really told me." and blocked any further communications from him. I realized, as I filed a complaint on my new friend Billy, I was about to engage in a vocal quarrel with someone...over the internet. It's amazing isn't it? The internet has evolved so much from the days when University Professors and Graduate students used it as a means to share data. Now, some unsavory folks use it as a means to share insults with a wide range of unsuspecting people. Ah...we've come so far haven't we? I'm not writing this as some desperate plea to the many people out there like Billy to stop because I know that's never going to happen. I know how it is for Billy and his moronic friends, who are too cowardly to actually say these kinds of things in person and instead rely on the internet to vent their hatred toward society or...anyone who kills them in an online game. They scream these insults from the comfort of the couch in their mother's basement because they know that the odds are in their favor that they'll never run into the people they're insulting and thus, will never have to own up to their actions. All I have to say to Billy and those who think like him...I hope the message I sent you provides you with the attention you seem to be desperately craving right now and if you were expecting to get a rise out of me, you'll be sorely disappointed because I don't take the internet as seriously as you apparently do. It's been a long time coming, but here it is, the first installment in my series of 2007 Retrospective blogs. Last year, I did something similar, but I didn't feel I elaborated as much as I needed to so this year, I'm going to do things a bit differently. This is just the introduction, and more posts will follow in the coming days as I finalize my thoughts, culminating with my top ten games of the year. 2007 was one of those standout years. Gamers were practically inundated with quality software, regardless of which platform they owned. From Super Mario Galaxy to The Orange Box and Call of Duty 4 to Halo 3, there was certainly no shortage of great games to be had this year, perhaps even more so than any other year before it. I must take time here to thank the ones who made all of this possible, the ones who slaved away hours upon hours day after day until their game had that special something that brought everything together. Every year, as we commend these great games for how well crafted, beautifully executed and above all, highly entertaining they are, we seldom thank those people who made that magic happen. The myriad of excellent developers such as Infinity Ward and Bioware made all of this happen, for if they had not sown the seeds, there would have been nothing to harvest. In his monthly letter to his many readers, Andy McNamara, Editor-in-Chief of GameInformer magazine prefaced the letter by saying, “It is weird when you think about it. The year that was 2007 could arguably be the best year for video game software to date.” Looking back on the previous year, reminiscing on all the fond memories I had in just that year alone; I can easily say he and I share the same opinion. With the Xbox 360 closing the book on its second year and the Playstation 3 and Nintendo Wii closing out their first, it is indeed weird to think so many quality titles would be released in just one year. If anyone walked up to you and said 2007 could quite possibly be one of gaming’s best, would you have believed them? Skepticism would have likely been my first response. While I expected such titles as Super Mario Galaxy and Halo 3 to deliver, many titles, such Uncharted: Drake’s Fortune and Crackdown took me by surprise. But of course, as has been said many times, the best surprises are the ones you don’t see coming. Over the course of the next few days, I will take the time to break down many of the current platforms one by one, to pinpoint just what made 2007 such a great year for each platform. 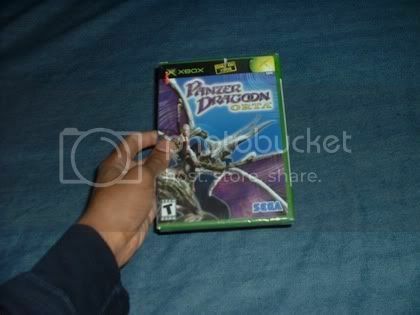 Panzer Dragoon Orta Found In The Wild! During a trip to Somerset Mall today, after looking around aimlessly for a Border's bookstore and finding out it wasn't there once I finally found a directory, I decided on a whim to walk into FYE since it was close by. I looked around at their selection of movies and music for a short while, all the while slowly moving towards the video game section, as I naturally do in any store that sells them. I began browsing through their wares without the slightest intention to buy anything due to my discount at GameStop and EB Games (which was right around the corner) and their somewhat inflated prices when suddenly, something on the bottom shelf caught my eye. I dropped the game I was holding and immediately picked up the game that had so quickly ensnared my attention. I couldn't believe I had actually found not one but two brand new copies of Panzer Dragoon Orta. Now, the game has been out of print for quite some time, thanks in no small part to somewhat lackluster sales. Because of this, finding a used copy of the game is a rare occurrence, much less a brand new one. The price may have been a bit steep compared to the average new Xbox game (30 bucks) but that didn't stop me from running to the register, whipping out my plastic so fast the cashier probably felt a nice gust of wind and buying it. Okay, I exaggerate, but still I was pretty excited. As of late, I've found I'm almost as fond of collecting games as I am actually playing them so naturally, knowing how rare this game is, I had to buy it. Well, that’s it for now…back to my 2007 Retrospective. Here's a small snippet of my review of GripShift, one of the more recent Xbox Live Arcade titles. A link to the full review is below. 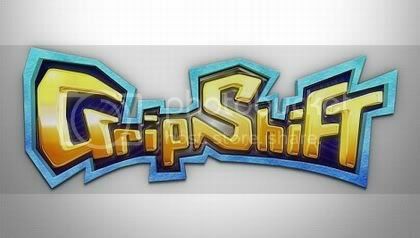 "In an effort to branch out from traditional racing or puzzling, the latest from Sidhe Interactive combines both with GripShift. These two genres, which are typically kept far apart, seem like they could work quite well here. The game is best described as a cross between the winding, suspended tracks of Super Monkey Ball, with the battle centric racing of Mario Kart. Unfortunately, due to the focus being split between the two genres, GripShift never shines in any one area and has its fair share of flaws."